Pawapi Resort & Spa is located on Koh Mook facing breathtaking 180 degree views of sparkling Andaman Sea. Offering 9 beachfront bungalows with spacious balconies, comfortable queen size beds, a restaurant, bar, and spa, you are sure to find relaxation here. 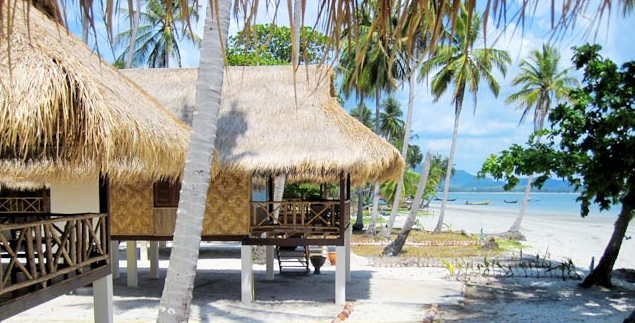 This resort has done a lot to limit its impact on the environment and the local community.The bungalows are built using various locally-sourced sustainable materials like grass roofs, and created by local craftsmen. Having an onsite sewage treatment program, and rooms without hot water or air conditioning, they have created a very peaceful place. Since their opening nearly 10 years ago, they have significantly cleaned up the beach and surrounding area. Koh Mook is one of Thailand’s best-kept secrets. The impressive Emerald Cave alone is worth the sidetrip to this quiet and beautiful Andaman Island. If ever in the area, stop by and grab your very own beachfront hammock!